Only an image of the plan’s primary map is available. Only an image of the map is available. 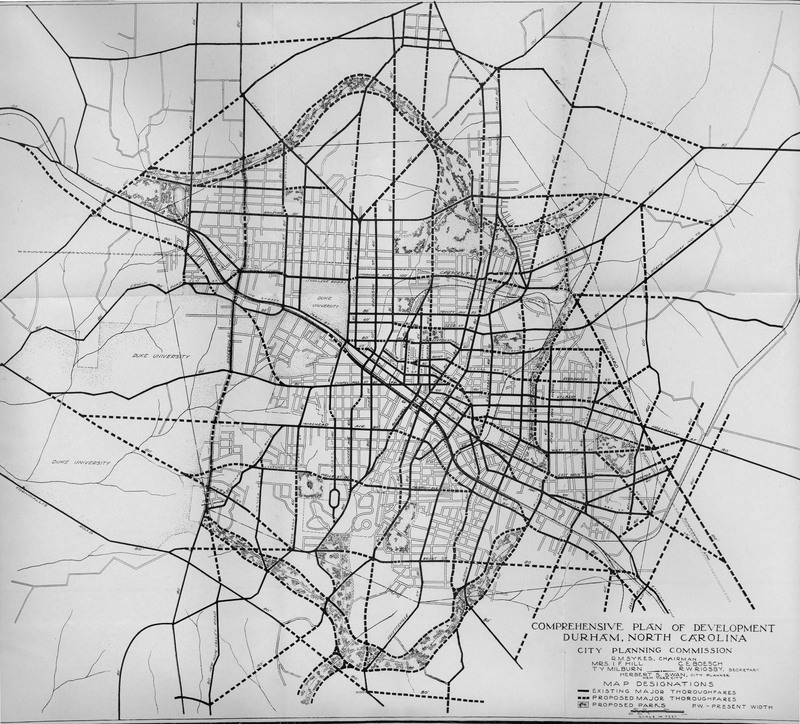 1960 report to the Downtown Development Association and Durham City Council: PDF. A report by the Redevelopment Commission of Durham: PDF. The Design and Implementation of Bull Durham District: PDF. Title VI Administrative Complaint, Mitigation and Enhancement Plan, Housing of Last Resort, Collaborative Planning in Durham’s Crest Street Community: PDF. Redevelopment plans for Few Gardens public housing complex with HUD Hope VI grant: PDF. Proposal to reconstruct former Liggett & Myers factory: PDF. 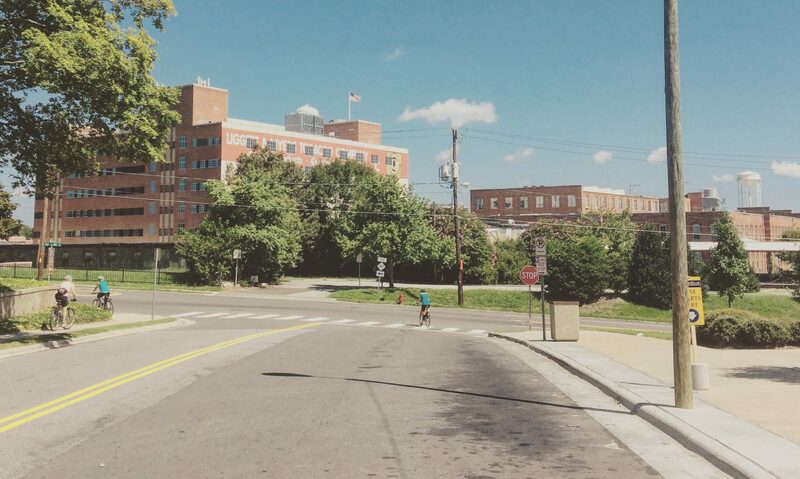 Plan to redesign downtown Durham streets and sidewalks: PDF. Plan to density and expand facilities on Duke’s Central Campus: PDF. Plan to improve the look of downtown’s Parrish Street: PDF. Long-range plan for the redevelopment of the American Tobacco district: PDF. Plan for the redevelopment of Downtown Durham: PDF. Plan to rebuild Downtown Loop as a two-way circuit: PDF. Map of plans for two-way loop reconstruction: PDF. Plan for adding and enhancing open spaces in downtown: PDF. Proposal for integrating bus services across the Triangle: PDF. Final Environmental Impact Statement: PDF. Map of the project: PDF. 2005 News & Observer coverage: PDF (1), PDF (2). Report on connecting RDU Airport to TTA rail services: PDF. Report on long-range plans, including rail link: PDF. Report on connecting RDU Airport with Chapel Hill via South Durham: PDF. Analysis of Transit Systems and Consolidation Stages: PDF. Analysis of potential for commuter rail between Raleigh, Wilson, and Goldsboro: PDF.